With the passage of time as you continue to put in stuff on your iPhone, it is likely to get slower. If you happen to be a victim of such an experience, then you have landed on the right page. There are a number of tips that you need to follow in order to make sure that your iPhone stops hanging while you are trying to make use of it. For your convenience, we have mentioned a few of such tips in order to let you solve the problem conveniently. Let’s take a closer at such tips and tricks. 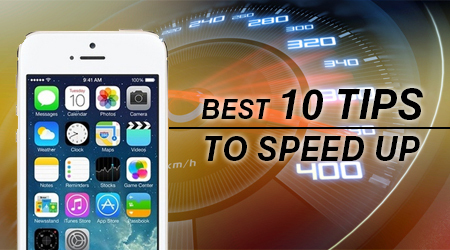 Taking the above mentioned information into consideration, it won’t be wrong to conclude that there are a number of tips and tricks that you need to follow in order to make sure that your iPhone doesn’t get slow with the passage of time. Follow the tips and tricks mentioned above and you won’t have to be disappointed of the results. iResQ offers iPhone repair, phone screen repair, and Macbook repairs service in Sydney. Contact us now to get a free quote!